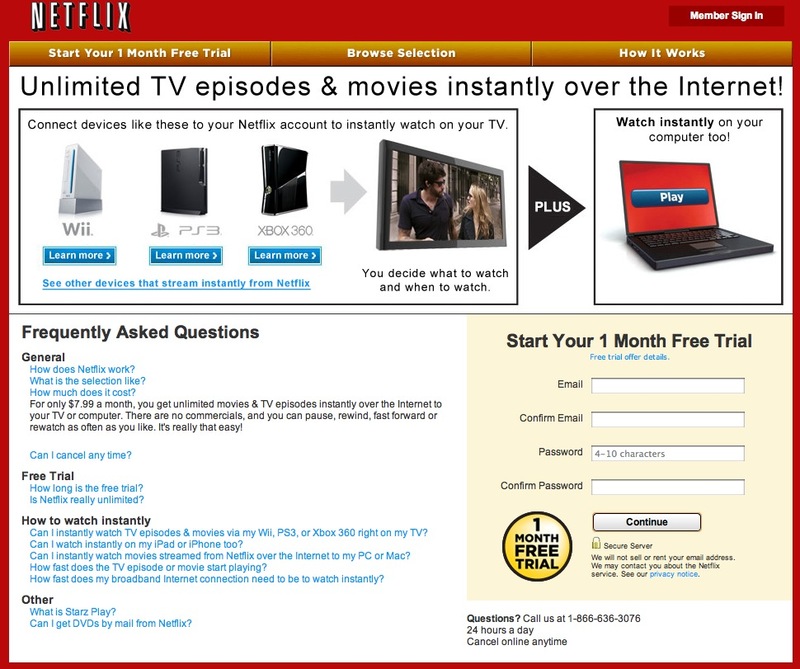 Netflix announced today it will go back to business as usual, give up renaming its DVD-by-mail service Qwikster, and allow consumers to order movies for both streaming and mail from one web site. With the stock price down 61%, Reed Hastings beat a hasty retreat from his vision of making Netflix purely a streaming firm. NYT reports Hastings joked on Facebook that his investors might poison him. Which is sad, because Hastings was absolutely right. Netflix pissed off consumers with its price hike this summer, pushing fees for combined mail rentals and streaming from $10 to $16 per month, causing screams. But that was a bargain compared to the $75 per month average U.S. cable bill. Before that price hike, streaming cost $8 a month and DVDs were a $2 surcharge — yet it costs Netflix a full $1 to ship every DVD to home by mail. The economics make no sense, and the consumer outrage is a perfect example of the illogical way people respond to prices based not on value, but on a perceived reference point. The same animal instinct that makes us feel good when we buy a leather jacket for $300 “marked down 50% from $600,” a fake reference price that never really existed, triggers fury when we suddenly have to pay $6 more for a fantastic service previously priced at an insanely low $10. What The New York Times and other media miss today is Netflix, while superficially apologetic, remains completely focused on streaming and killing DVDs — as they should. 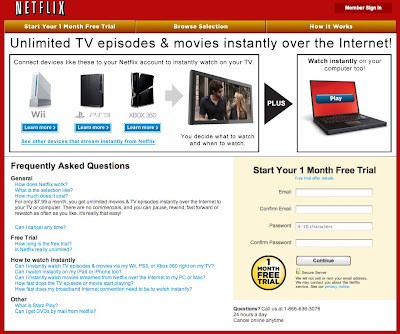 The Netflix home page mentions DVDs by mail nowhere; click on the main offer, and the second “unlimited TV episodes & movies” landing page focuses almost entirely on the streaming service, with only one tiny text link at the bottom left posing “Can I get DVDs by mail from Netflix?” If I did not want anyone to sign up for the mail service, but had to offer it, this is exactly how I’d bury it. Netflix tried to fire its DVD customers, but couldn’t. So now, it’s simply going to migrate quietly away from them.